The Chefs Collaborative & Niman Ranch Scholarship is a rare opportunity to attend an exclusive, invite-only farmer celebration with fellow Chefs Collaborative Members, farmers, and food professionals who are committed to responsibly-raised meat. In addition to being a special weekend with like-minded colleagues, previous Scholarship recipients share that this experience has helped them Change Menus, Change Lives. 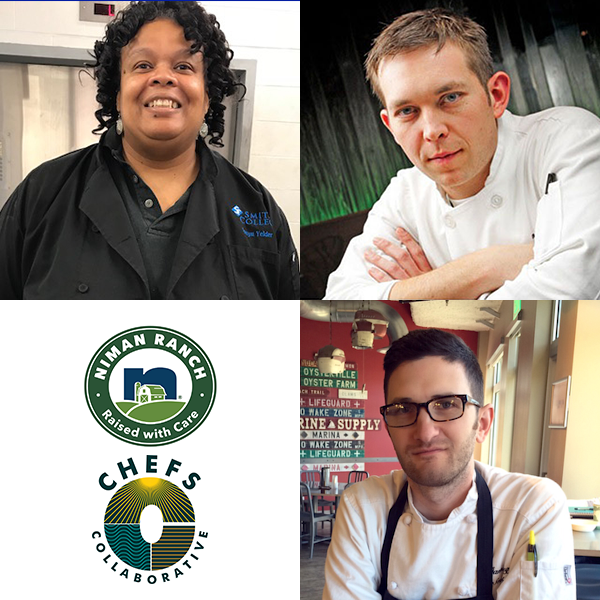 Congratulations to our Chefs Collaborative and Niman Ranch Scholars: Adam Hegsted (Eat Good Group, WA), Daniel Muggli (Bon Appetit at Google Seattle, WA), Sonya Yelder (Smith College Dining Services, MA)!